The mothballs you used to store clothes over the winter have left behind an offensive smell. Here’s how to eliminate the stink. 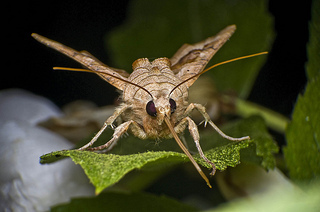 Mothballs have long been used as a way to stop moths from eating away at our garments. But the smell they leave behind can be tough to remove. The best way to rid your clothes of the smell is to put them on a hanger outside during warm, sunny days. Heat and fresh air work to open up the fibres of the garment thus resulting in the dissipating the smell over time. The process can be sped up by first ironing the clothes, as long as the garment is iron-safe. The heat from the iron will help the fibers open more rapidly. Another simple solution would be adding ⅓ cup of distilled white vinegar to a basin of cold water and soaking the garment. If the smell persists after the soaking, attempt to wash the piece of clothing with an additional cup of vinegar added to the wash cycle. Still looking for another method? Place the clothes you want to deodorize in a large black trash bag along with a few dryer sheets and tie the bag off. Allow the bag to sit in a warm ventilated area until the smell is gone. The best way to avoid those heinous smells is to nip them in the bud. When storing your clothes with mothballs, create a potpourri to add to the container. More often than not, this potpourri is a combination of whole cloves, cedar wood chips and lavender. This concoction plays a vital role in cutting the smell before it becomes an issue. Mothballs are undoubtedly beneficial in protecting your clothes from being chewed up and, despite the smell, can now be used with the comforting knowledge that the odor can be eliminated.